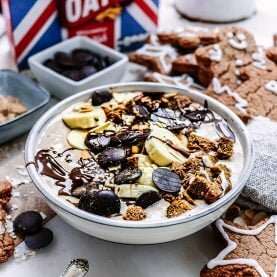 Hot cross bun porridge is here and it’s going to make your Easter so much better. 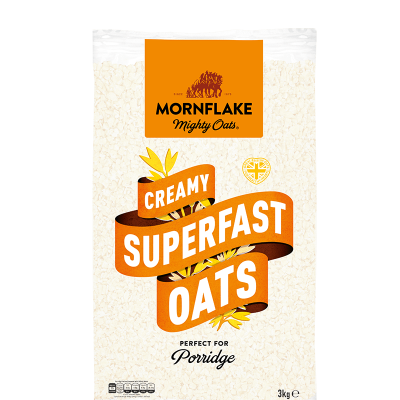 All the sweet, cinnamon, spicy flavours of your favourite toasty bun, but now in a warming bowl of porridge. 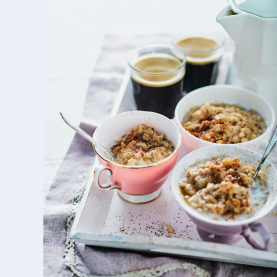 You’ll be making this wonderful breakfast all year round. Add the oats, sultanas, cinnamon, mixed spice, lemon zest, vanilla extract and coconut sugar to a saucepan. Pour over the almond milk, stir and cook the porridge over a medium heat for 6-8 minutes until the oats are soft and creamy. Meanwhile, in a separate frying pan add the sliced banana, maple syrup, chopped almonds and sultanas. Cook for 4 minutes on a high heat, making sure to turn the bananas half way through cooking. 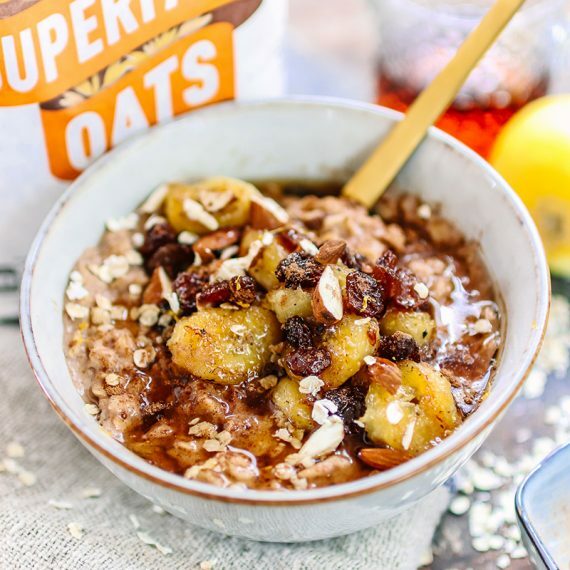 Spoon the porridge into a bowl, then top with the maple banana and sultanas then drizzle with maple syrup.